Cloud Foundry distinguishes stateless containers from stateful services. Thereby it is made for applications with microservice architectures. Apart from facilitating application deployment drastically, Cloud Foundry offers persistent services directly on its marketplace. These services can be databases, message queues and other third-party services that are needed to persist the data that is processed within your application. With Cloud Foundry you can easily provision service resources and bind them to your applications. You provision your services via the Cloud Foundry CLI. All services are made available on the Cloud Foundry Marketplace. Creating a service instance just takes a couple of seconds and a single command. Likewise you can bind a service instance to your applications easily using connection strings. Our services are offered in different plans, varying from shared plans (S plans) and dedicated instances (M, L) to dedicated service clusters (on demand). This enables you to fulfill different high availability requirements. Find the prices of our services here. Our Cloud-Ops team runs and manages the services in our cloud locations to make sure your data is safely stored within Europe and protected by European privacy regulations. We also offer a Backup Service that enables you to create backup plans for automated cross-location backups. 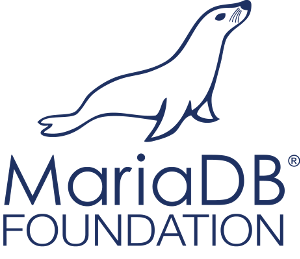 Maria DB is a drop-in replacement for MySQL. It has been developed by the makers of MySQL, the most popular relational open-source database of the world. MySQL workloads work with MariaDB without adjustment. MongoDB is a document-oriented open-source NoSQL database. It stores data in JSON format and ensures flexibility as fields may change over time. This enables you to easily adapt to new requirements. MongoDB offers strong performance for ad-hoc queries, indexing and data aggregation. PostgreSQL is a high-performing adaptable object-oriented open-source data base. It enables you to easily scale and can be used with multiple programming languages. With its JSON support it combines the best of the SQL and NoSQL world of databases. RabbitMQ is an open-source message broker that asynchronously processes messages between apps and databases. More services are on their way. We will shortly introduce Redis, CouchDB, Neo4j and Kafka. Are you looking for a service that we haven’t mentioned yet? Let us know. We will take it into consideration for further development.